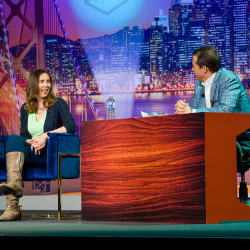 From Atlassian to Zendesk — we've had the greatest CEOs and Founders share their inside playbook with the SaaStr community at SaaStr Annual throughout the years. 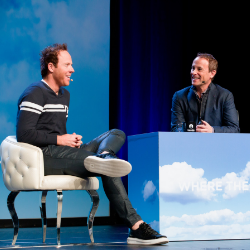 Watch as the creators behind the SaaS products you know and love share how they did it, what they learned and their best advice to help you scale faster. 👉 This is fundamental content for anyone scaling in SaaS. Qualtrics, Twilio, Nutanix, Asana, Domo, Trello, Hubspot, Salesforce. Start binge watching these 25 fundamental lessons in building a SaaS business. Join our community below to start watching! David Skok, General Partner at Matrix Partners, gives a masterclass on the key levers founders can leverage to drive SaaS success. Jason Lemkin interviews CEO Aaron Levie about Box's journey to $250m in ARR at the very first SaaStr Annual. 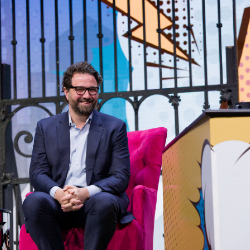 Mark Roberge and Michele Law discuss the top 4 sales mistakes that can kill a SaaS business. Mamoon Hamid, Partner at Kleiner Perkins, shares what it really takes to get funded in SaaS. "Even though we talk about the power of the self-service, developer-led model, we do believe that sales is a critical part of our long-term success. We have to be great at both engineering and engineering culture, and sales and sales culture — and have mutual respect between the two. I think that's really hard to pull off." "Moving upmarket is not just about product, it's also about the end to end experience. Think about if you're going out to dinner, if you're paying $10, you've got certain expectations about that. Now if you're paying $100 for dinner, you have different expectations, and it isn't just about the food anymore, right? You need to think about that whole customer experience. You need to change your blueprint." "For true retention, ask yourself if you're hiring people who are intrinsically motivated. People at Stripe care about the product but they also care about the global impact of what we're building. Part of our recruiting process actually tests for excitement and motivation to be part of the mission." What matter is that you grow up and get out there. For any kind of fundraising, it's ultimately not about the valuation. It's really about the team and the path you set yourseld up for after that."